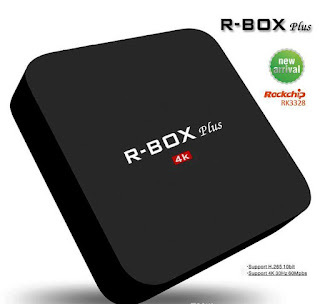 Android tv news updated Rockchip RK3328 UHD TV BOX Solution at Three Times faster in the Speed. On October 13, 2017, during the Hong Kong Electronics Fair (Autumn Edition), Rockchip showed off its new RK3328 UHD TV BOX solution. Compared to previous generations and similar products on the market, it takes the lead in USB3.0 interface support and improves speed almost three times. The RK3328 UHD TV BOX solution features the Cortex-A53 64-bit quad-core architecture, up to 1.5GHz, Mali-450 GPU. It supports Android 7.1 and Linux operating systems, 4K 60fps, HDR10 / HLG and HDR2SDR video decoding, and complies with the latest Ultra HD (UHD) standard. The RK3328 UHD TV BOX is technologically innovative and has three main technical advantages. Higher transmission speed: compatible with Giga Ethernet and USB3.0 interfaces. Excellent UHD video quality: compatible with the latest 4K standard (UHD Premium standard) More suitable for the market: standard DRM level 1 certification support for bandwidth recognized by Google. The updated RK3328 positioned in a mid-level solution and high supports USB 3.0 and Giga ethernet and technically solves the problem of real-time transmission of UHD videos. Currently, most TV box solutions on the market basically apply the USB 2.0 interface. With the Internet and IoT backdrop with the huge improvements in industrial applications and the consumer market, 4K 60Hz UHD videos will become the main demand, while USB2.0 is even powerless for data collection 1080P 30Hz and can't meet the changing needs of the market. However, the Rockchip RK3328 solution, compatible with USB3.0 and Giga Ethernet with significant speed improvement, provides hardware warranty for real-time transmission of UHD 4K videos. A higher transmission rate will also create more possibilities for OTT BOX forms. For example, in terms of interconnection of voice, image, transmission media and multiple terminals, terminal devices based on the RK3328 solution will obtain irreplaceable technical and platform advantages. In addition, the support of the DRM level 1 certification standard recognized by Google, the RK3328 solution is of greater compatibility and influence in the market.